The new asylum building was equipped to handle 100 patients. Seven men, chosen by the Senate, were to serve as a Board of Managers. They were tasked to hire the superintendent, review all operations and expenditures, and visit the facility at least once a month to insure humane treatment of patients. This system remained in place until 1921 when a single governing board assumed these functions for all Missouri asylums. 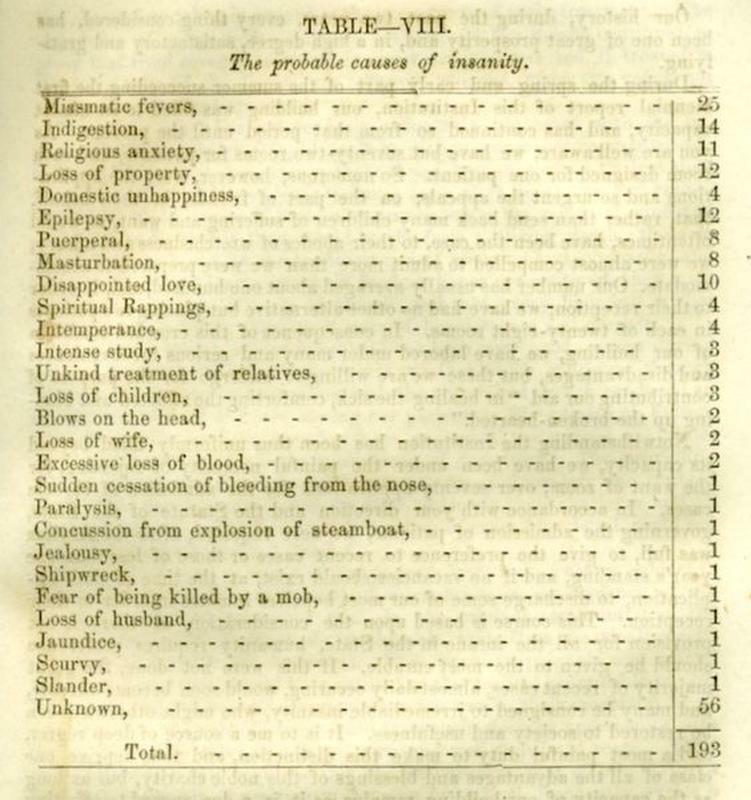 Below is a list of the probable causes of insanity among the inmates as per the asylum's record.